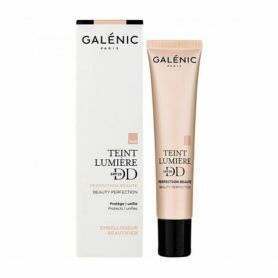 Galénic's Teint Lumière mattifying powder unifies the skin texture. 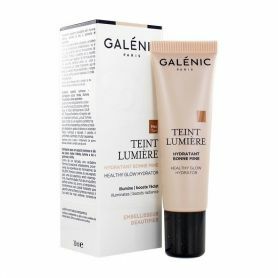 It fights effectively against the brilliance of the complexion. Its absorbing effectiveness lasts all day. It has 3 different pigments to adapt to all complexions. It fights effectively against the brilliance of the complexion. Its absorbing effectiveness lasts all day. It is particularly suitable for oily skin. Talc absorbs quickly the excess of sebum that is produced by the skin. The complexion is matte and velvety daily. Hyaluronic acid is known for its moisturizing properties. It restores radiance and vitality to the skin. It relieves oily skin prone to imperfections. Vitamin E is a very effective antioxidant. It protects the skin from free radicals and helps fight against external aggressions. An airy and very light powder, of a universal color, for a finish at the same time bright and natural. A green and fruity floral fragrance of orange blossom. 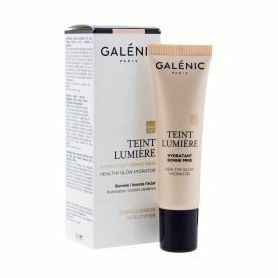 For a more natural finish, apply mattifying Galenic powder only to the T-zone of the face. To fix the makeup of the complexion, apply the powder Light after your usual foundation. Sodium Hyaluronate, Titanium Dioxide, Tocopherol, Water.